Home » Blogs » Does the U.S. 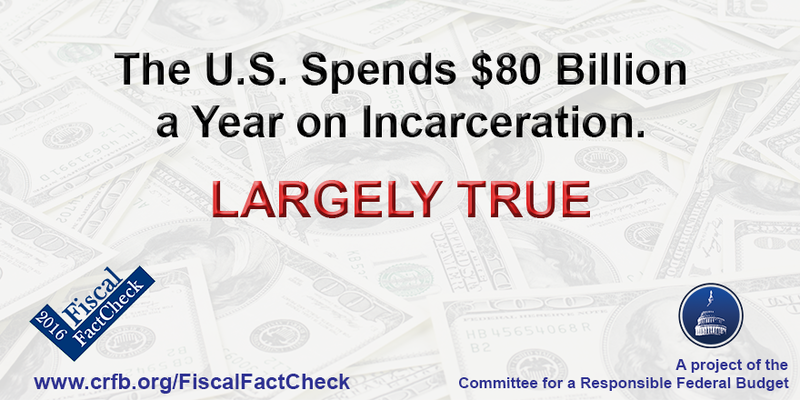 Spend $80 Billion a Year on Incarceration? Does the U.S. Spend $80 Billion a Year on Incarceration? At the third Democratic debate, Senator Bernie Sanders (I-VT) said "We are spending $80 billion a year locking up our fellow Americans," using the figure to call for criminal justice reform. President Obama used the same $80 billion figure in a speech at an NAACP conference this summer. The $80 billion figure comes from a report published last year by the Hamilton Project at the Brookings Institution. That report, which compiles data from government sources like the Census Bureau and Bureau of Justice Statistics, found that the amount spent by all levels of government on corrections more than quadrupled in inflation-adjusted dollars from 1980 to 2010. In 2010, federal, state, and local agencies spent a combined $80 billion on corrections, or $260 per U.S. resident. Of the $80 billion spent on supervision, confinement, and rehabilitation for those convicted and accused, only 10 percent came from the federal government. The majority (57 percent) of the funds were spent by state governments, while the remaining 33 percent came from local governments. 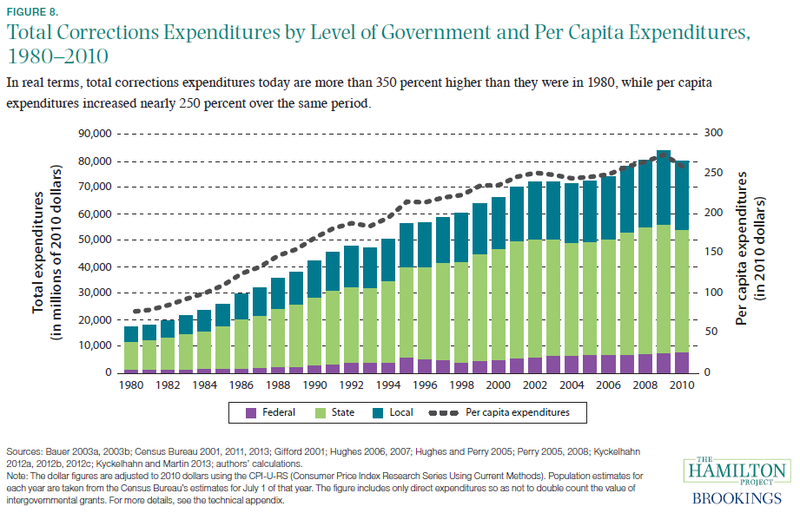 The report's total of $80 billion is in 2010 dollars, which is $87 billion in today's dollars.